by Brie The library has a special place in my heart. My mom worked for a long time for the Winnipeg Public Library and so I spent many, many hours over the years sitting in a corner of which ever library she was working at with a big pile of books. Even after my mom no longer worked in the Children's section she would still bring home her favorite kids books for us to read. Part of the excitement I had when I first started going to the library with my now 4-year-old girl, I first took her to story time at 5 weeks even though she had no idea what was going on, was being able to find the kids books I used to love to share with her. Now we have hit another exciting milestone. 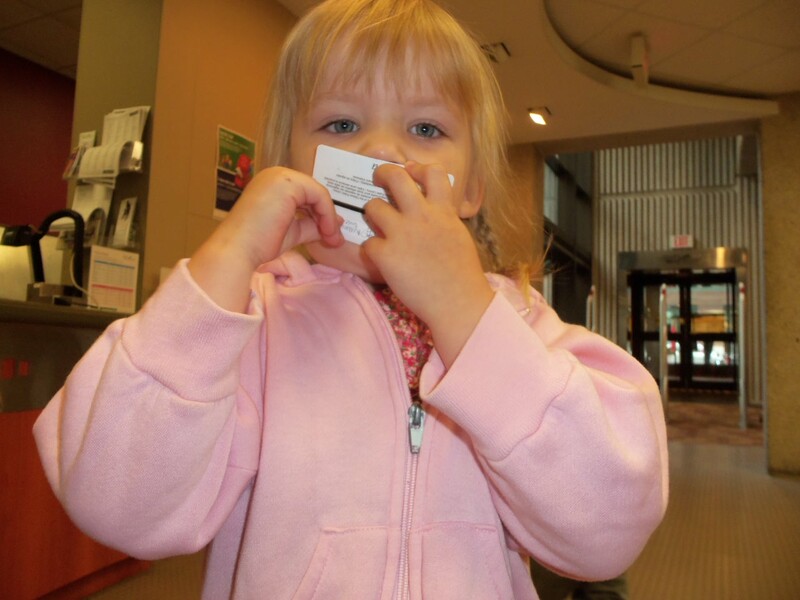 The girl and her two-year old brother got their very own library cards! I even took pictures. For those of you that know me, you know this is a big deal because I never carry my camera with me. This is the girl with her library card. She was very excited to finally get it in her hands. She even tried to write her name on the back. Unfortunately the space is pretty small and so she had some trouble fitting her larger letters on. So I helped. I also helped the boy by signing his card. 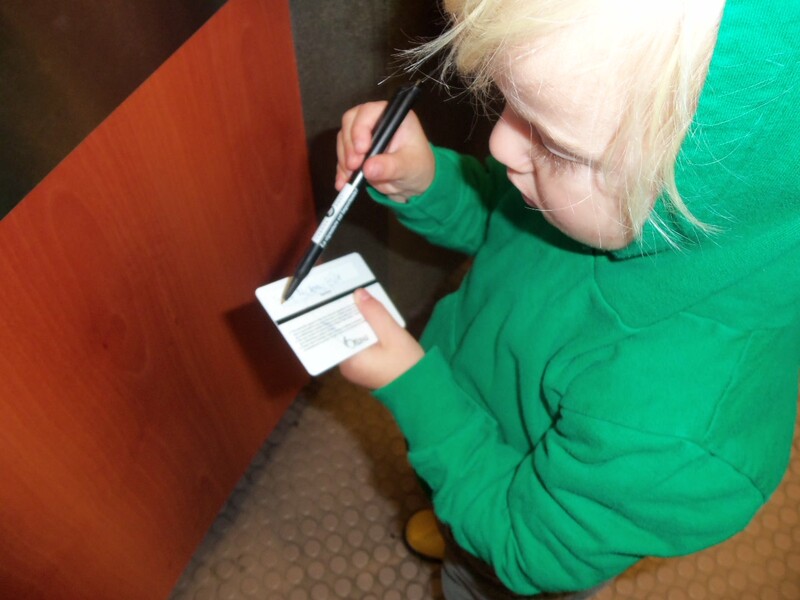 He didn't appreciate that very much and insisted on signing it himself. 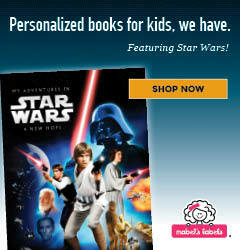 I had kind of assumed that my kids were too young for a library card, then I heard about Every Kid a Card. This campaign is encouraging kids to sign up for library cards. Until September 24th any kids 12 and under that sign up for a library card also get a City of Ottawa pool pass, a Every Kid a Card zipper pull, an invitation to the Big Wheels wrap-up event, a Ottawa Senators hockey card and a ballot to win fabulous prizes including a laptop, two Ottawa Senators tickets or a Sparty's Kids Club membership. My kids had to rip the envelope open as soon as they got it and deposit the ballet right away. I tucked the rest of the goodies in my diaper bag for later. And by later I mean a time where I can look at them quietly by myself. Getting the kids their library cards was quick and easy. The hard part came when we went to leave. There was a serious of unfortunate events evolving too many books, my forgetting to bring a bag, the girl's determination to carry her books herself, the elevator being out of service and a steep flight of stairs. Finally the three of us and our books managed to leave the building but not before I cursed the architect for designing a library with such excellent acoustics.